National Margarita Day with MEXIco - February 2017. Last Thursday, I was invited along to MEXIco in Derby along with some other local bloggers to celebrate National Margarita Day alongside some tasty dishes prepared by Chef Johnny Hernandez. Now, if you know me, you'll know I don't drink. 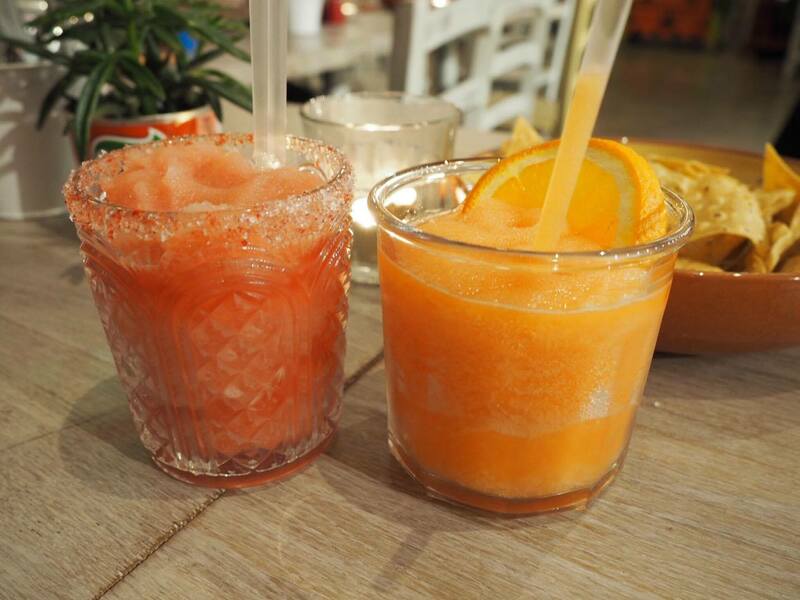 So, why did I attend an event all about Margaritas? Well luckily for me, Johnny and the team were more than happy to knock me up some non-alcoholic versions to ensure I wasn't left out. Perfect. 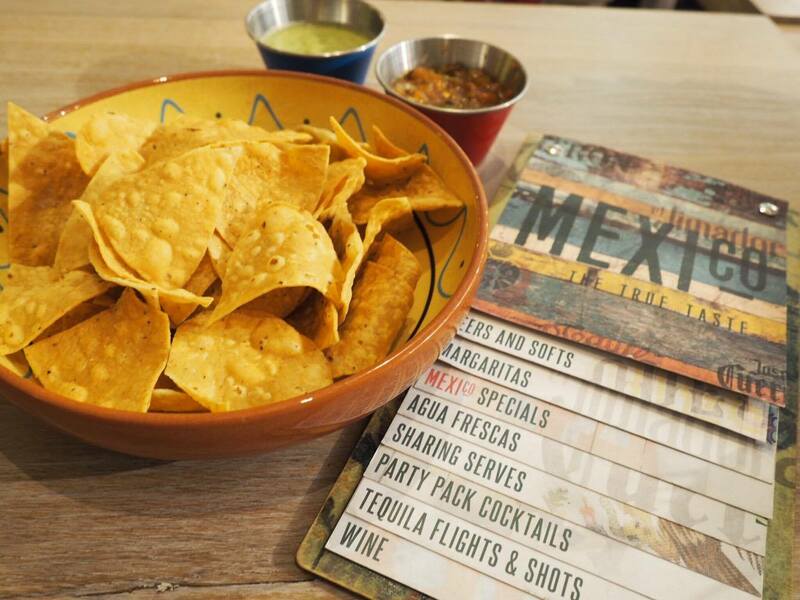 We started the evening catching up with each other over what felt like an endless supply of delicious stone ground corn chips which were accompanied by dipping pots of Salsa Verde and Salsa Roja. Very moreish. Johnny came out to greet us, gave us an overview of what to expect during the event and headed off back to the kitchen to prepare his dishes. 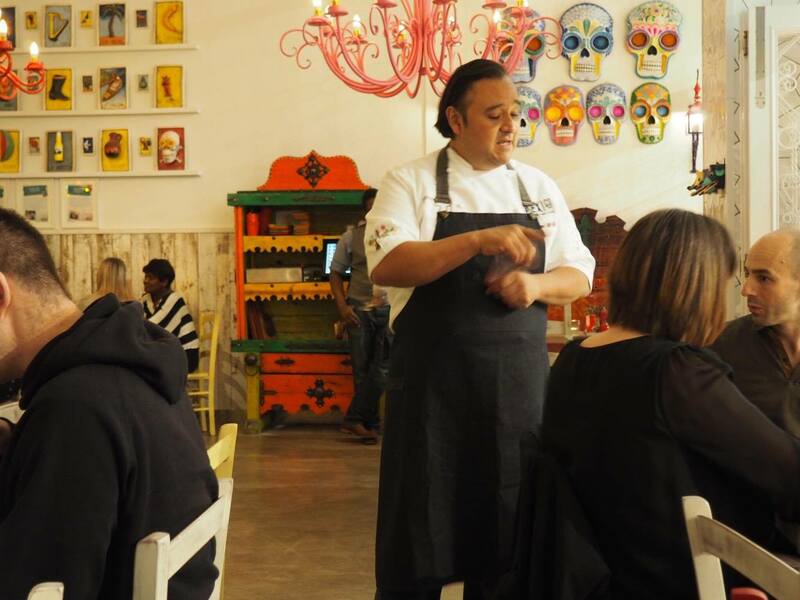 MEXIco use only the freshest ingredients in order to make sure you as the diner, get the best possible taste experience. The true taste. Then, the drinks began flowing. Our first dish was yet again more nachos but this time topped with Chicken Tinga and Ground Beef layered with melted Monterey Jack Cheese and a homemade Guacamole. Both were divine. If I was to pick a favourite, I'd go for the Chicken. It was much lighter. Next up was a sneak peek into one of Johnny's new dishes - Prawn Ceviche. What I found really interesting here is that the Prawns are technically raw but 'cooked' in Lime juice. 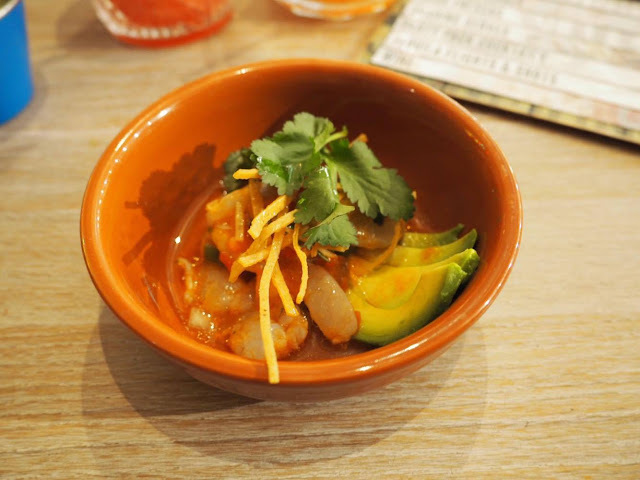 When the Prawns marinate in the Citrus Juices, the reactions 'cooks' them. I say 'cooks' because there's no heat involved yet the Prawns are no longer raw. Confusing. Although this wasn't one for me, my fellow bloggers seemed to love it. Next up were Tostadas. 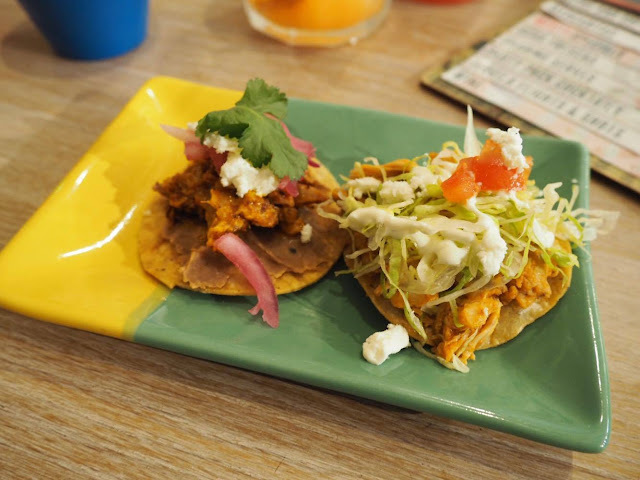 One Pulled Pork and the other Pulled Chicken Tinga. 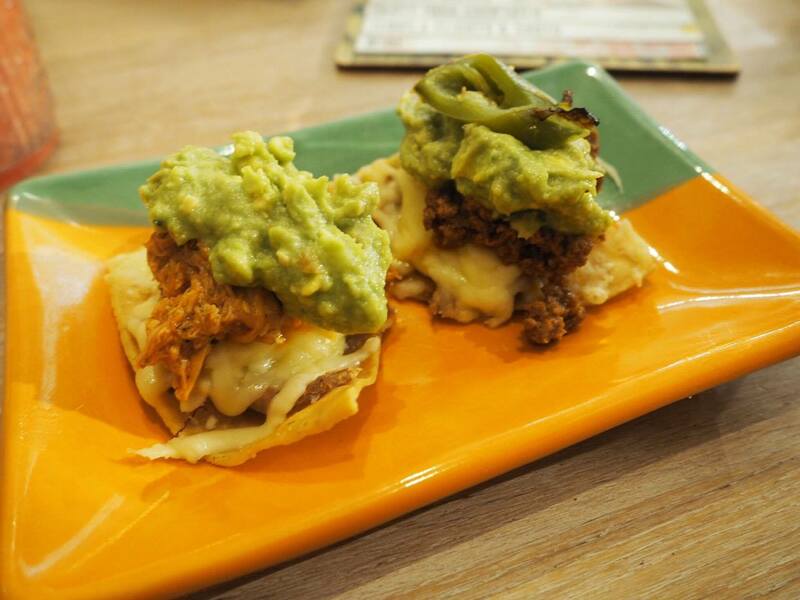 Although very similar to the Nachos earlier on, these Tostadas comprised of completely different flavours and combinations. I loved how great these were to eat as finger food. 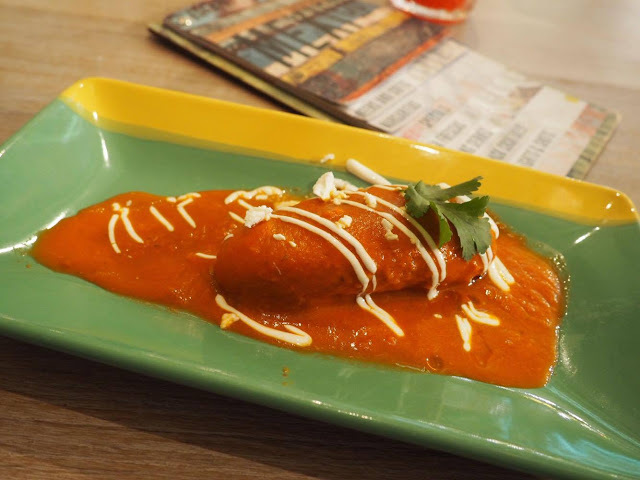 Our last savoury dish of the evening were Stuffed Roasted Peppers. Another sneak peek into the ideas that Johnny coming up for MEXIco. We were able to sample the Beef & Feta in a Sweet but Spicy tomato based sauce. Although the filling went down a treat, I did have to leave some of the pepper. I was so full by this point. We ended the night on Churros. 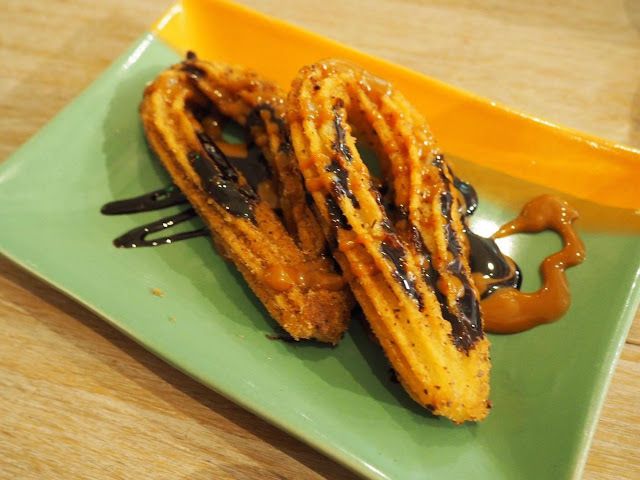 I was so hoping we'd get the opportunity to eat Churros. They're one of my favourite desserts. Topped with Chocolate Sauce and a Dulce De Leche, these crispy little bad boys were gone before I'd had chance to take a good picture. Sorry, not sorry. 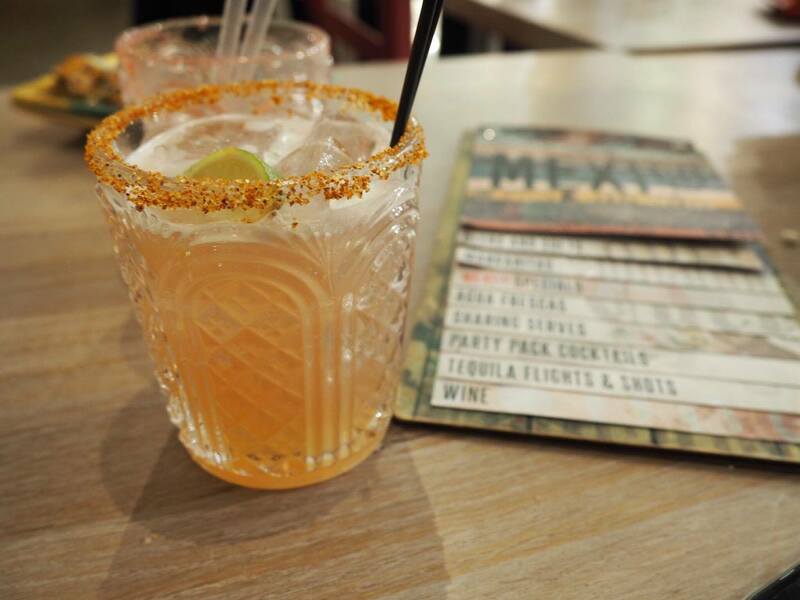 So, if you're in Derby any time soon, be sure to pop by MEXIco for a delicious Margarita and superb authentic Mexican food. 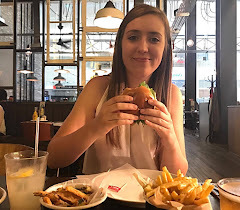 Did you know that MEXIco do a lunch menu? You can get 2 courses for just £9.99 which is crazy value for money. Also, Johnny is currently in the process of developing a 'to go' style menu as it's been very highly requested by diners recently. Luckily, the majority of dishes transport really well so there's pretty much no reason not to right!? If I worked in Derby, I'd be taking full advantage of that! Big thanks to Johnny and all of the MEXIco Derby staff for an amazing evening - I'll be seeing you again soon.